The name says it all. 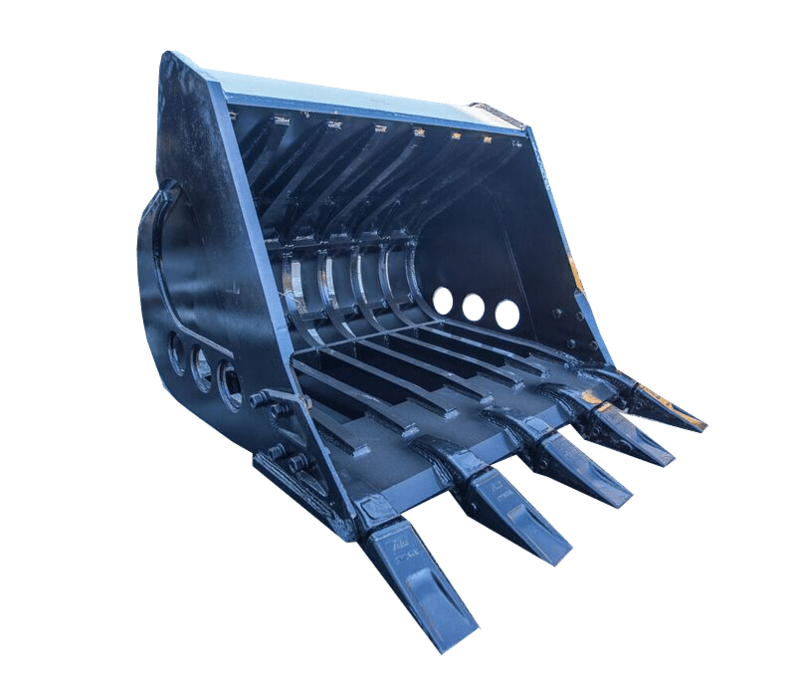 Our rock bucket is designed for digging in rock. Skeleton buckets will help separate loose rock from other soil, or for working with rip-rap in erosion control projects. Built from AR400 for high strength and wear resistance. Much stronger than T1. Cat teeth are standard but other teeth are available.